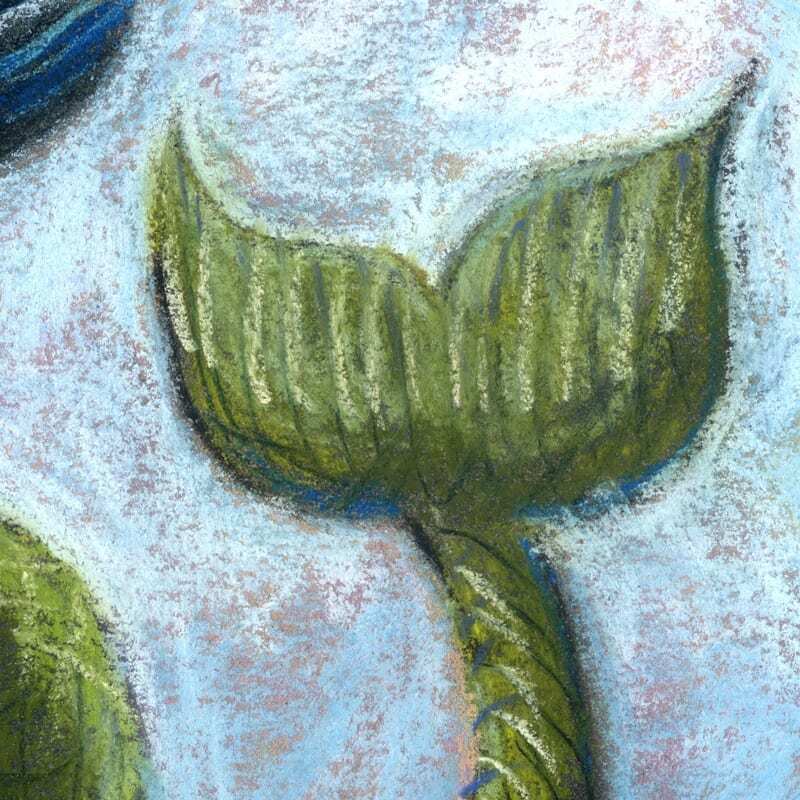 Hello Sailor, 14×11″ pastel painting on Canson mi-teintes paper using various pastels. Part of my Greetings from St. Augustine series, featuring skeleton tourists capering on and around St. Augustine, Florida landmarks. Shipping is included anywhere in the continental USA. Everywhere else please contact me. 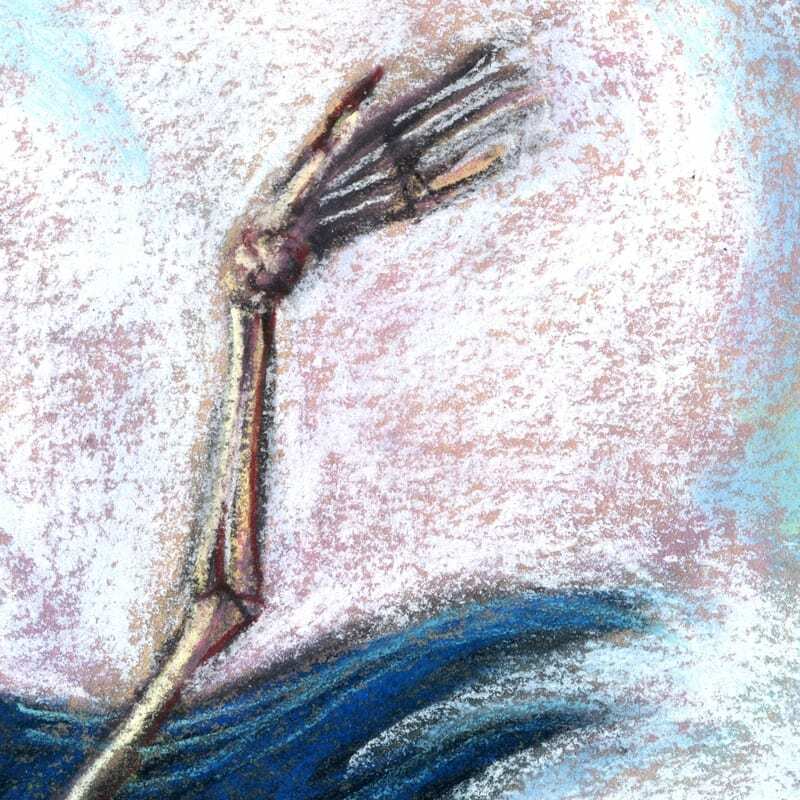 Hello Sailor, 14×11″ pastel on paper, Marie Marfia. Available $360. 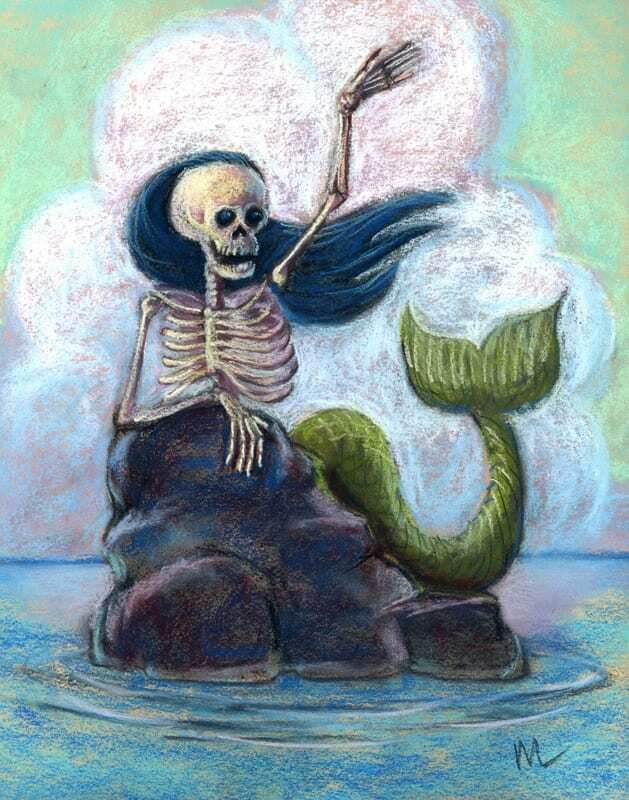 Part of my Greetings from St. Augustine series, Hello Sailor is my skellified version of a mermaid waving at people as they pass by her rock. 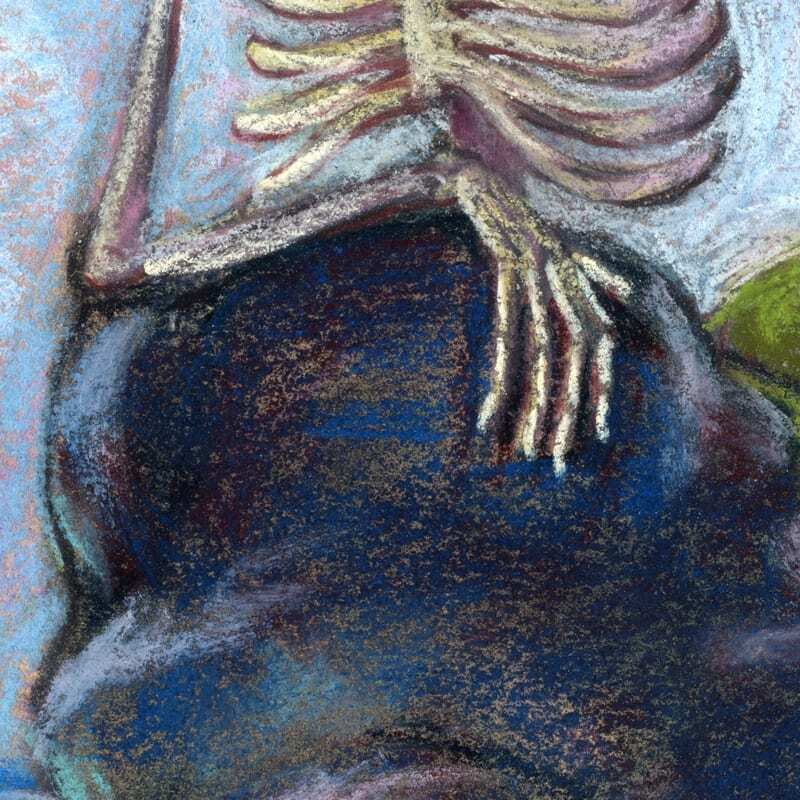 I love skeletons and St. Augustine, Florida, so I did a series of paintings featuring tourists and famous St. Augustine landmarks featuring skeletons, of course! 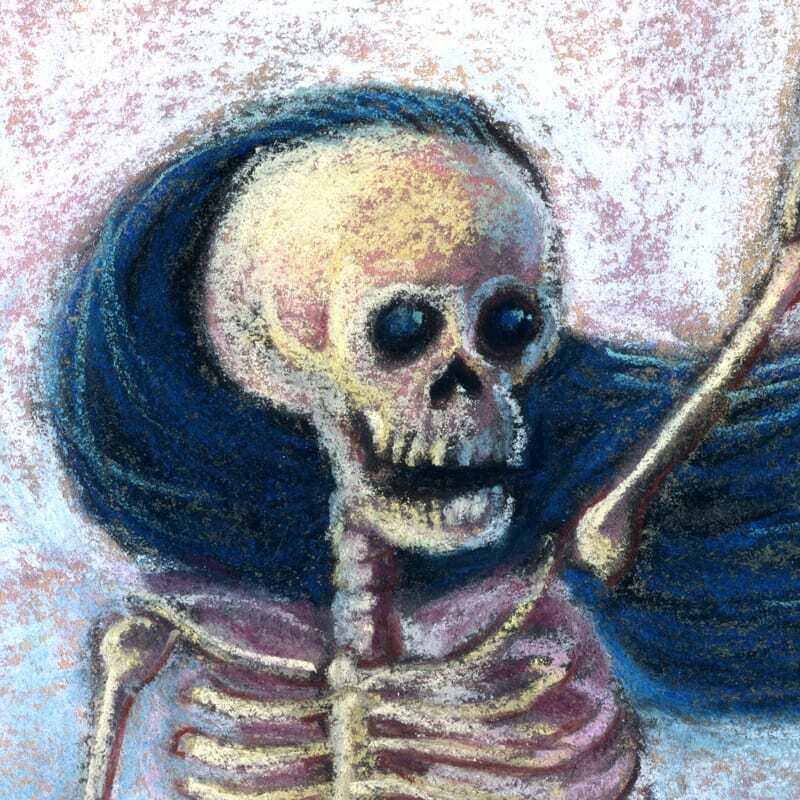 Hello Sailor is a 14×11″ pastel painting on paper. It is unframed and not matted. Shipping is free anywhere in the continental USA. Everywhere else, please contact me.